I found purple daikon at the green market. 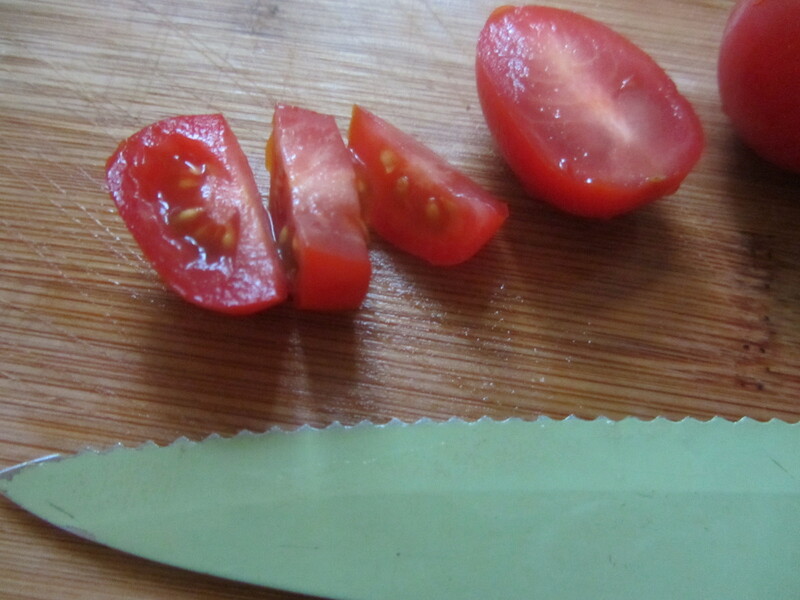 When I cut it open, the purple saturated its flesh as well as its skin. 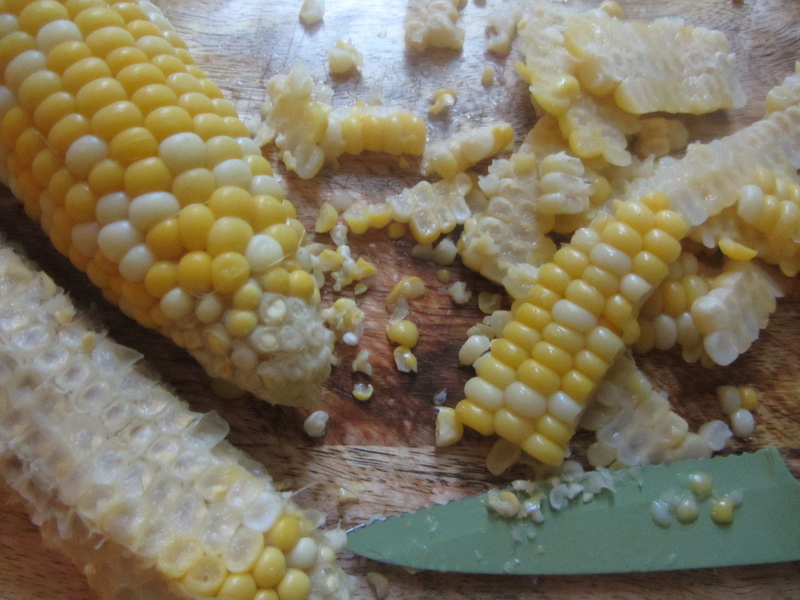 I thought it would taste delicious with the leftover corn on the cob I had in the fridge. 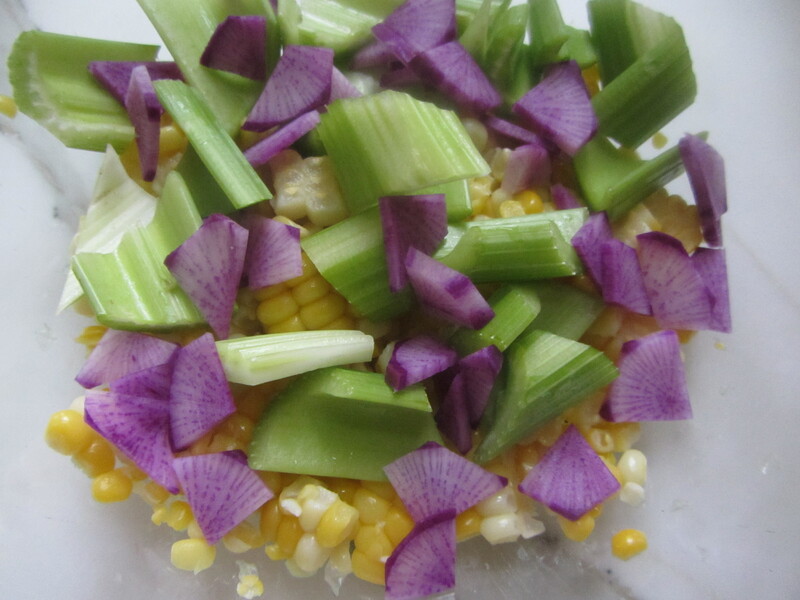 I added some celery, tomatoes and a small purple spring onion (whose purple-hued skin did not permeate its white inner layers). 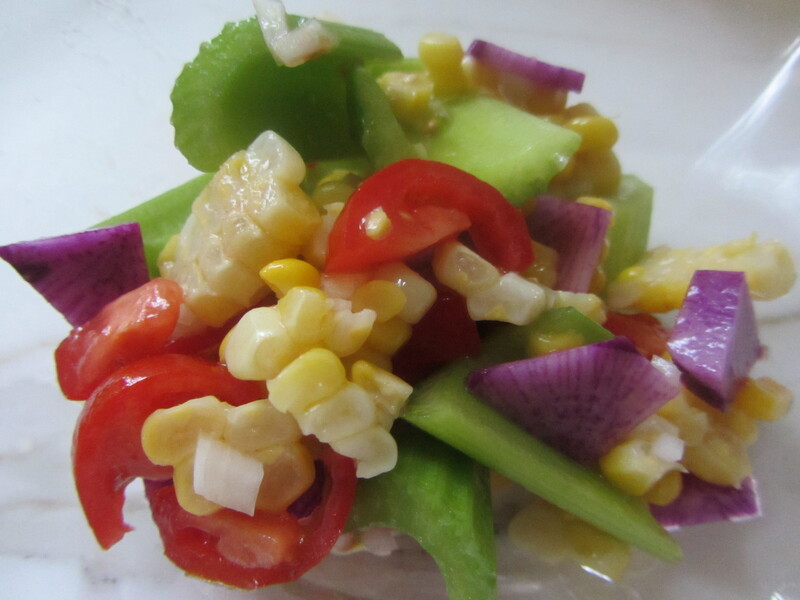 The result: a crunchy, refreshing, bright dish on an otherwise gray morning. And delicious it was. and place in a medium-sized mixing bowl. Wash the celery well. Trim the ends and any loose “threads” from the stalk. 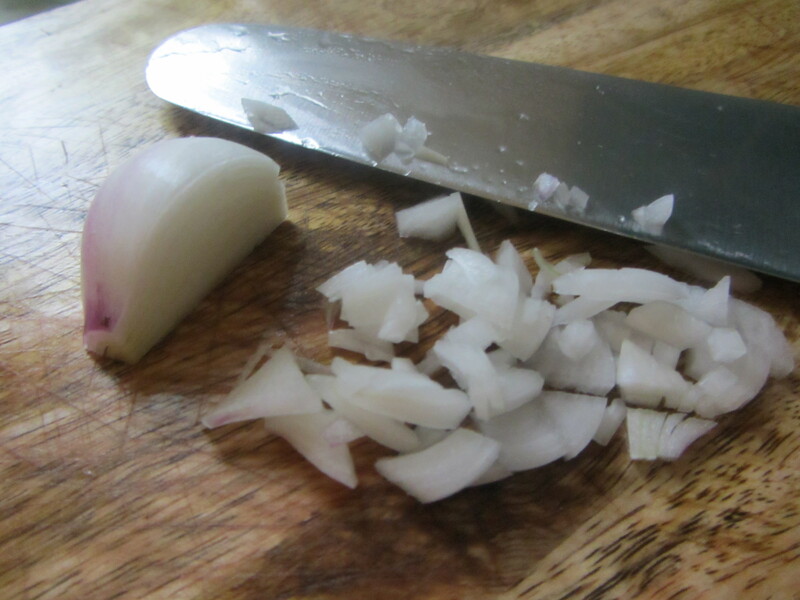 Slice it diagonally, alternating directions. Pieces should be about an inch wide. Add to the bowl of corn kernels. 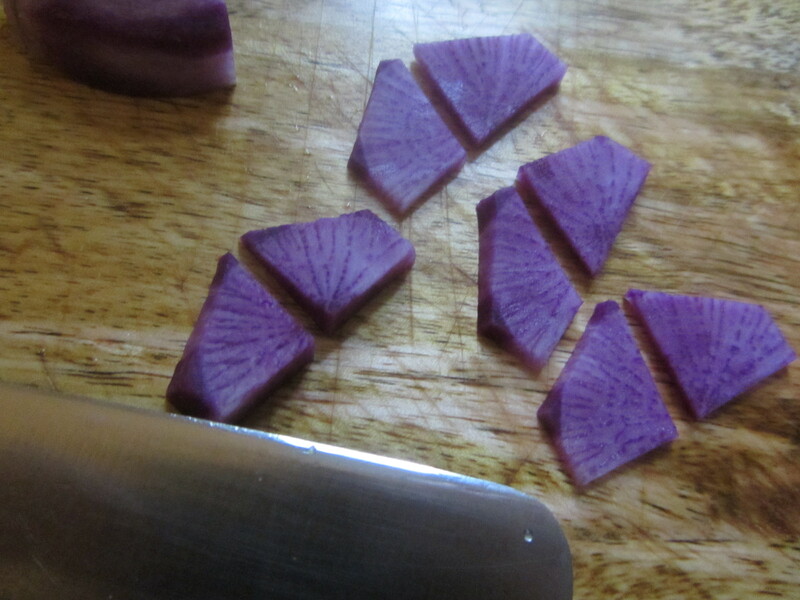 Remove the tops and scrape the tough outer skin of the purple daikon. Wash it well. 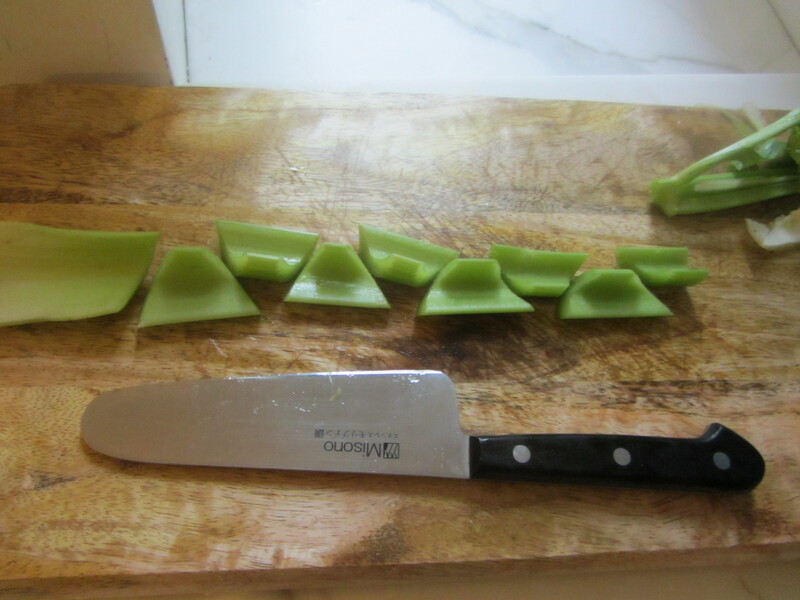 Slice it in half lengthwise; rest each half on the flat surface and cut thin half-moon shapes; then halve each half-moon. Add to the salad bowl. and add to the mix. Add chopped cilantro if using. Squeeze the lemon and mix with the olive oil. 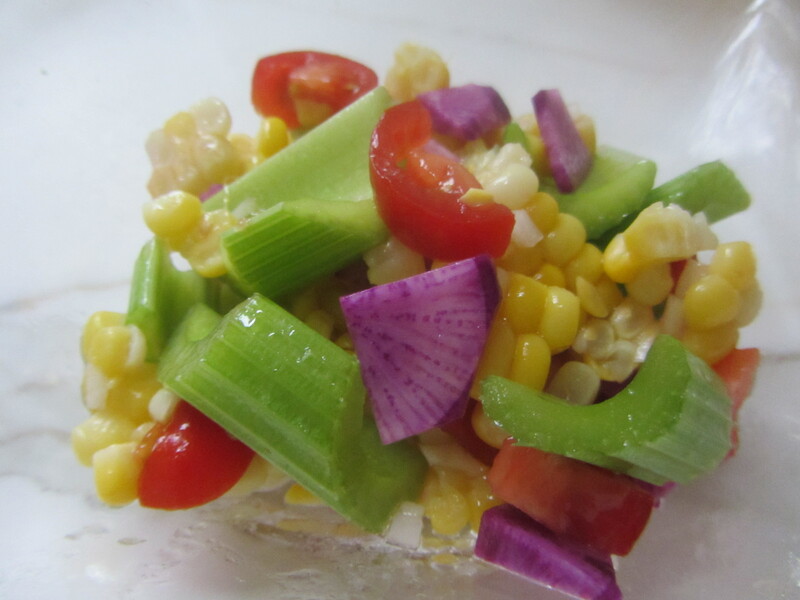 Drizzle over the salad. Add sea salt to taste and mix all ingredients together. Serve on individual plates.